Shaw Industries is performing one of the largest single projects in its history at Plant 65, a textile facility located in Andalusia, AL. Thanks to the performance of our crews and our 20 year relationship with Shaw, MetroPower was awarded a multi-year contract to complete the mechanical and electrical installation at the plant. The project, named the Phase I Modernization, includes the demolition and construction of a five level tower for new equipment installations and will include new Extrusion Equipment, Air Compressors, Chillers, Lighting, Power Distribution (both medium voltage and low voltage) and equipment power connections. Chris Scott is leading the Plant 65 Phase I Modernization and has employed the expertise and assistance of several other department managers including Sylvester Jones, Wesley Johnson and Wayne Scott. Our teams rely on their experience to skillfully accomplish the work, exceed safety standards and ensure customer satisfaction amidst a fast paced environment. 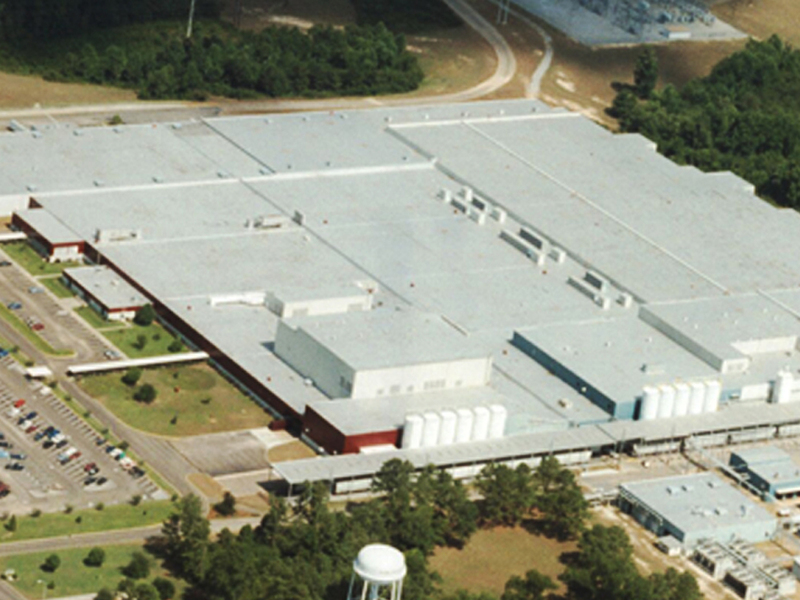 For more than 20 years, MetroPower has been installing extrusion equipment throughout the southeast for Shaw Industries.